It began with an idea to simplify one aspect of patient care, and it grew into a groundbreaking medical device, a new brand, an interface design and an integrated app. 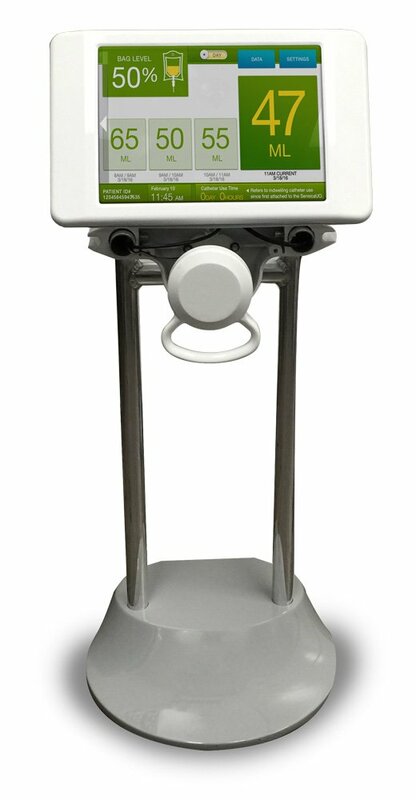 The device was designed to automate the capture of urine output volume and data over time with an app that interacts with the device and provides real-time measurement views for nurses to accurately assess patients recovering after surgery or while in intensive care units. This was where the brilliant talents of the Blur engineering team crossed paths with the insight and app design and development capabilities of the TrueParallel team. As with any project, whether working together or as independent organizations, it all starts with the end user. We took the perspective of a the end user, in this case a nurse, and dove into how the app could do its part to assist with the strenuous regimen of care that nurses administer every day. As a visual and user experience designer, my first thought was, “Eew I am working on a project that measures urine output? !” But, then I began to think of my husband’s job in the healthcare industry with the Duke University medical system. I thought about how he and his colleagues would benefit from a device such as this, and that was the spark I needed for an extra jolt of enthusiasm. I realized I was contributing strategic and creative input to a product that could make a significant difference in the arduous day of healthcare professionals and the daily care they provide. It is this kind of project that evokes total “job love”. Knowing that the device is extremely technical, our objective was to complement the nurses’ daily patient monitoring processes with an app interface that is clean and simple. And, sometimes, “simple” is the most difficult objective to accomplish. There is a fine line to walk between what is necessary information, what is visual enhancement and what can become information clutter. As a designer, it is easy to see blank space that beckons to be filled with compelling design elements, but keeping the perspective of the user in mind, the interface design evolved into a seamless extension of the healthcare provider’s duties and services. While branding is always an important element of the user experience, even on an app that integrates with a medical device, the functional experience must be the priority. As we worked closely with the Blur team and progressed the design executing every detail, we were able to develop a prototype that allowed us to obtain valuable, real-time feedback from healthcare professionals. We were fortunate that the device and integrated app were met with great reception, granting us the green light to move full speed ahead, creating a top-notch application. This project provided a firsthand glimpse into the powerful combination that is the Blur and TrueParallel teams – product engineering experts and marketing technology professionals bound by a single challenge that could impact health delivery for many years to come. “This project was an amazing experience for our collective teams and reflected the impact of genuine collaboration at its highest levels,” reflected Scott Liddle, one of Blur’s founding partners. Taking design to the front lines of patient care was more than completing a project; it was making a true difference in the lives of medical professionals and their patients. Learn more about the exceptional partnership of Blur Product Development and TrueParallel.